Tween Tuesday is a weekly meme hosted at GreenBeanTeenQueen to highlight great reads for tweens. Join the fun and share you post below! About the Book: May Amelia has seven older brothers and is the only girl that's been born along the banks of the Nasal River. It's hard to be a proper young lady when you're surrounded by boys. May Amelia longs for a sister and now that Mama is going to have another baby, there's hope that another girl will come along. GreenBeanTeenQueen Says: At ALA they announced a sequel to Our Only May Amelia and I decided I better read this one before the sequel comes out! 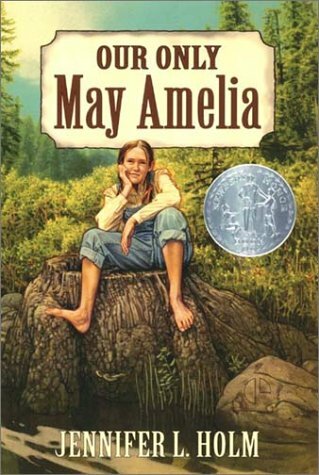 May Amelia is a great main character-she's funny and spunky and gets into a lot of mischief. The first part of the book tells the various adventures of May Amelia and her brothers and then one the new baby is born, the book shifts a bit. There's still stories about May Amelia's adventures, but the book becomes more about her than it was to start. (And I don't want to say much because I don't want to spoil anything for anyone who hasn't read it). This one had the same problem with the other Jennifer Holm book I recenty read, Turtle in Paradise. A great story, fantastic characters, but the ending just comes a bit too quickly. I wanted a bit more to be wrapped up. But as a whole, the book was great and I really enjoyed. I listened to it on audio and Emmy Rossum is the narrator and she did a great job-I hope they can get her again for the sequel. Book Pairings: Little House Series or Caddie Woodlawn. Thanks for the review...this is one of those books that has been in the library for a while but has taken a back seat to other new reads. I'll be sure and put it on my list! 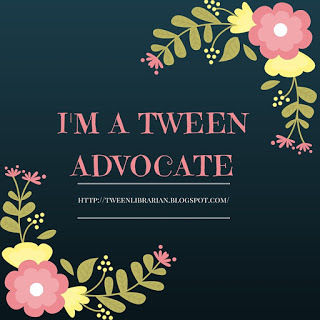 Here is my Tween Tuesday! I'm a new follower. I had no idea there was a sequel planned for Our Only May Amelia, but I will definitely plan to read it. I read the first one when I was in library school, and I remember really loving it. Thanks for the review!